​If you have insulation between the joists in your loft, it will keep your house warmer but make the roof space above colder. 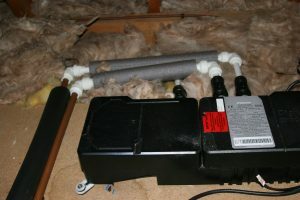 Insulating pipes and water tanks in your loft will help prevent freezing and save energy. The consequences of a frozen pipe can be dire, the pipe can rupture and lead to flooding. Pipe insulation consists of a foam tube that covers the exposed pipes between your hot water cylinder and boiler. It’s usually as simple as choosing the correct size from a DIY store and then slipping it around the pipes. Insulate your hot water cylinder with at least an 80mm lagging jacket – a well fitted tank jacket could save you around £25 to £35 a year which is more than the cost of the jacket. 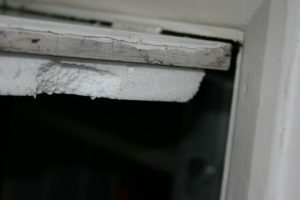 Cooler air in an insulated loft could mean that cold draughts come through the loft hatch. To prevent this fit an insulated loft hatch or foam board on polystyrene onto the inside of the hatch.